Flowers share so many special moments of our lives why not wear them too. 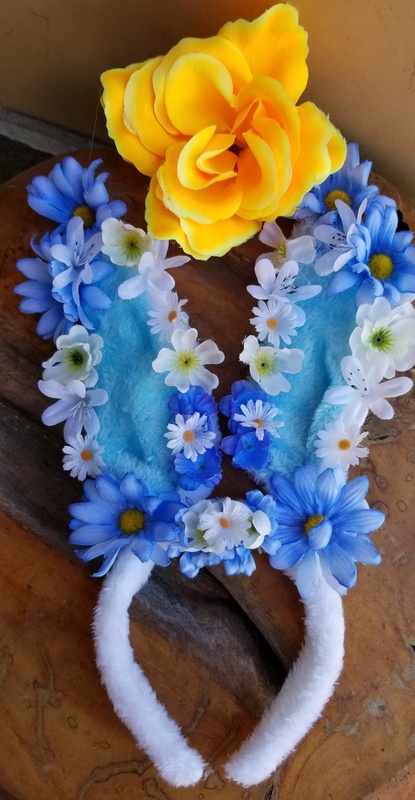 Flower crowns can be a great addition to any special occasion: birthdays, baby showers, graduation parties, bar/bat mitzvahs and more. 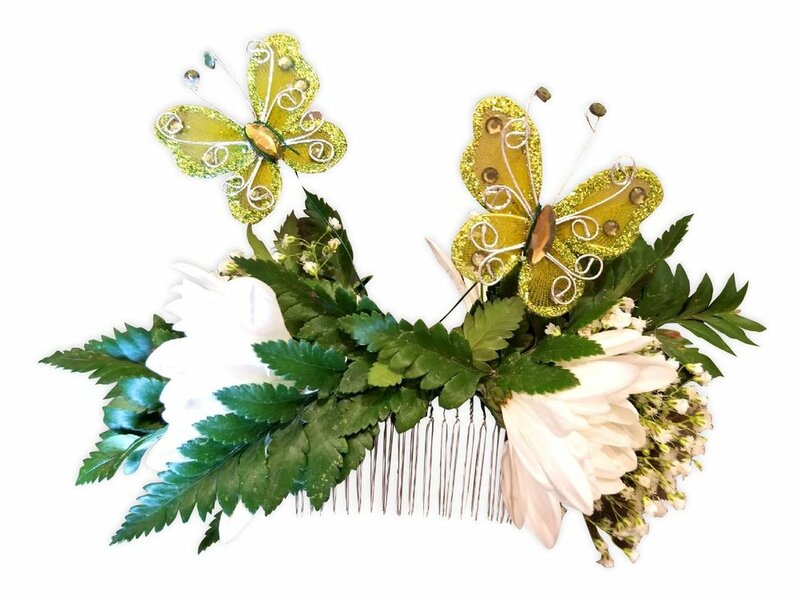 Made from real or artificial flowers, our beautiful flower crowns are hand-crated for each of your guests. Choosing from a variety of beautiful flowers each guest can design a halo based on their individual style: boho, chic, glam or whimsical. 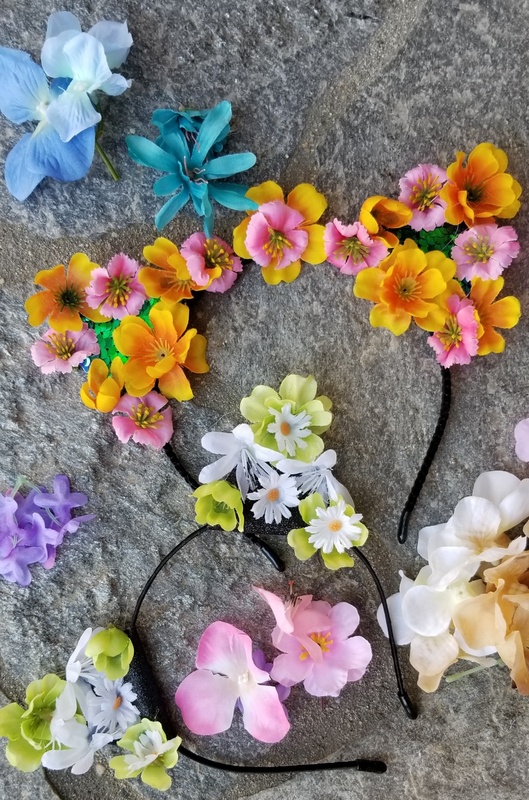 Flower Ears are a cute new take on the flower headband craze. These headbands are absolutely adorable and completely customizable. Guests choose their color and type of flowers and our artists will create the perfect ears on site. Adorn yourself with Vita Perfetta Fantasy Flower Wristlets. From bright splashes of color to posh pastels, it’s floral jewelry with a flair! Choose from fresh or silk flowers as our talented artists customize each wristlet your to personal style. Unleash your inner artist with the interactive entertainment of a craft-style setup. Party guests will love being the designer, as they create their individual wearable bouquet. 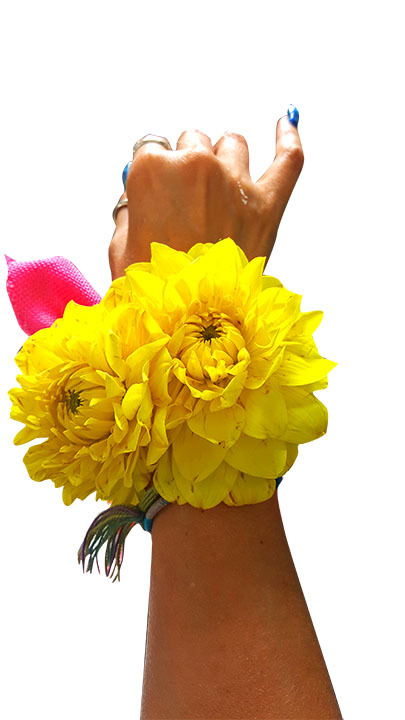 Whether it’s a girly gathering, elegant affair, or funky bash, Vita Perfetta Fantasy Flower Wristlets are the perfect party touch!